Des Goss, Phillip Audsley, Peter Venn, Arthur Stead, Dale Baxter, Tony and Vivien Hogben, Jim and Stirling Calder and Steven Odgaard. Visitors attending for the evening were Zachary Hurst and Mike and Lanai Ledger. The hall was in total disarray as renovations were being carried out and all furniture had been removed, so the group made themselves comfortable sitting in a circle on the floor. Cruise report - Logan River, Eagleby, Saturday 4th July 2009. 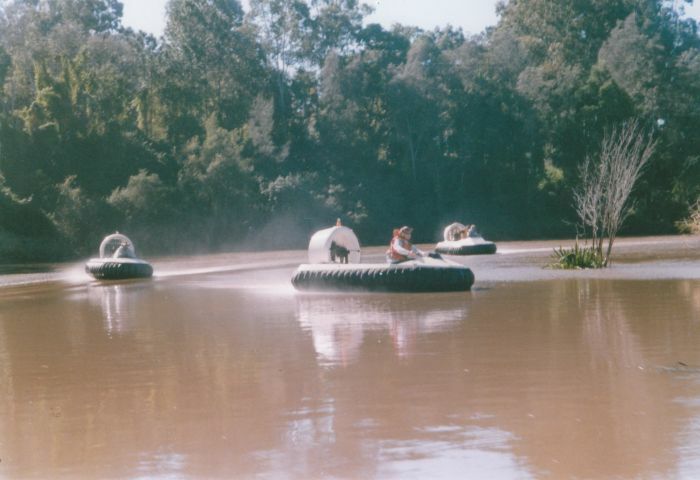 The last club cruise was held on Saturday 4th July 2009 on the Logan River at Eagleby. Peter Venn - Turbo TP6. Arthur Stead - Revtech Renegade. Steven Odgaard - Expo Turbo (courtesy of Peter Venn). Dale Baxter and Macaulie Lewis - ASV Vortex. Des Goss came by road with his Turbo Wedge 225 in tow arriving at Eagleby early, and was confused as to why nobody else was turning up on time. Dale Baxter and work colleague Macaulie Lewis arrived towing their ASV Vortex, just as Des was deciding whether to leave, or wait a little longer to see if anyone else would show up. 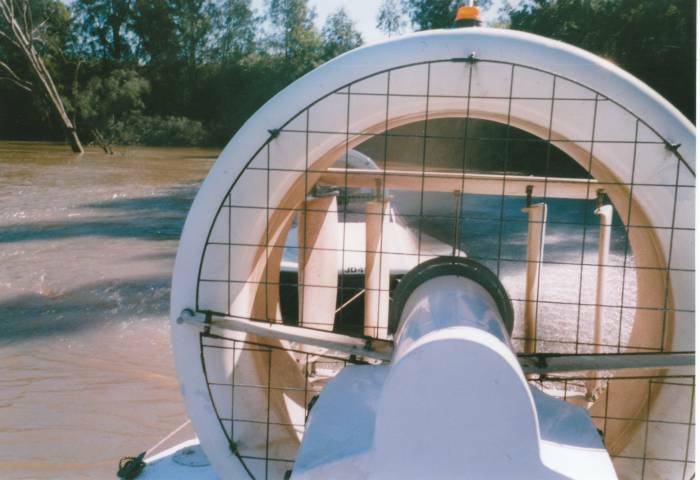 Meanwhile Peter Venn, Steven Odgaard and Arthur Stead had launched from Peter's place in Muriel Street, and were enjoying a pleasant cruise upstream from the mouth of the Logan River towards Eagleby, arriving there around 9:30 am much to Des' relief. 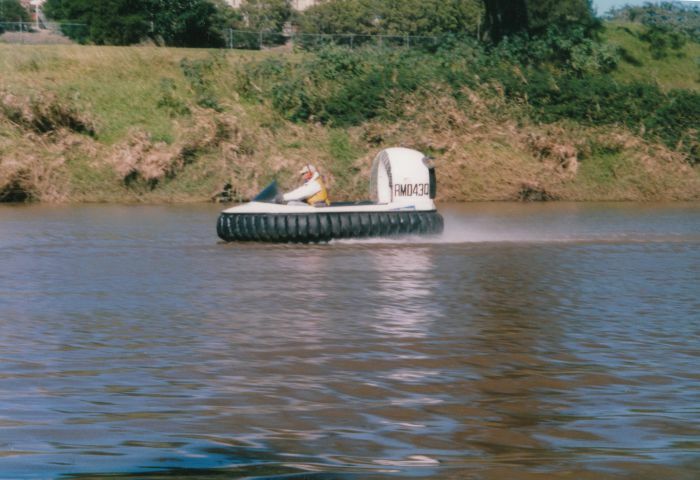 At about 10:00 am Des Goss took the Turbo Wedge 225 for a warm up run on the river, but decided to put it back on the trailer due to the high winds. 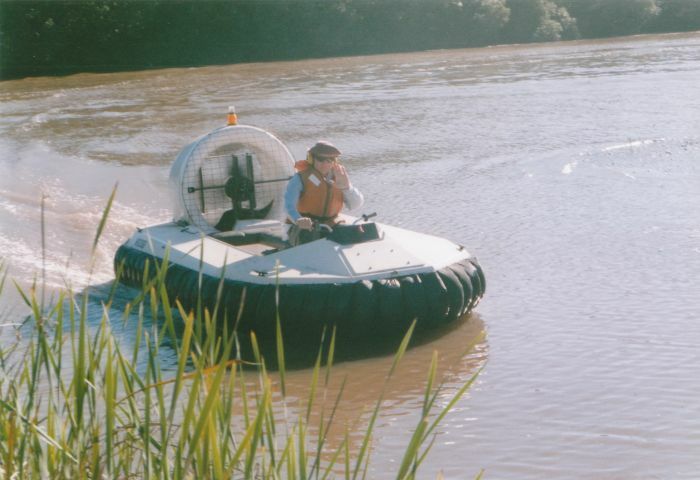 At 10:20 am the 4 remaining craft launched from the silted ramp and headed upstream to the Waterford Arms Hotel, Des travelling in the Turbo TP6 with Peter. We arrived at Waterford at about 11:00 am and parked the craft neatly in the car parking lanes of the local parking lot. There was a large family gathering at the prime sheltered picnic table so we ventured into the hotel. The Bistro was closed, being between the breakfast and lunch sittings, so we had to contend with a cup of tea or coffee and biscuits in the Poker Machine Lounge instead, which, as it turned out was a pretty fair deal because it was all complimentary. There was a small crowd of curious on-lookers and a couple of young lads with expensive utes and jetskis when we finally strolled back to the boat ramp carpark. 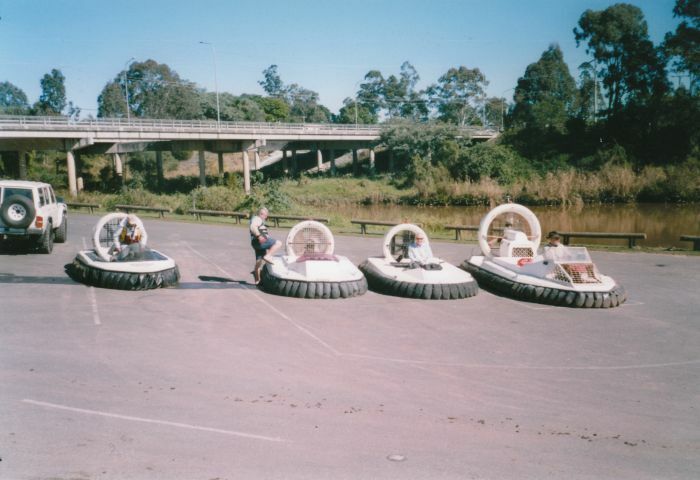 One by one, the strange craft in the parking lot started their engines, lifted slowly onto the air cushion and quietly slipped away down the ramp and into the muddy waters of the Logan River. 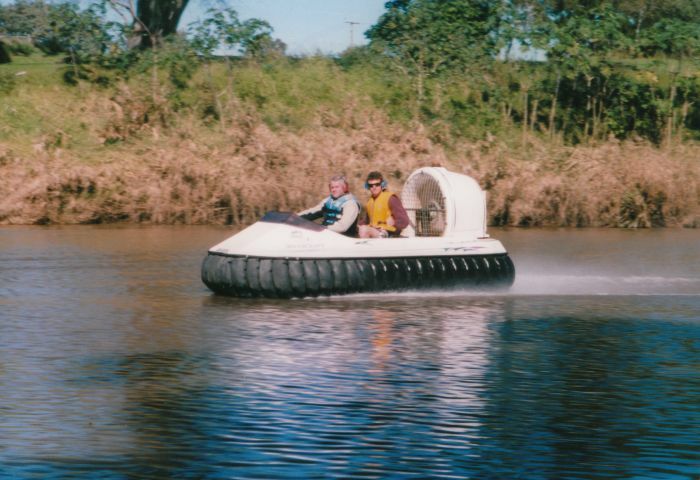 All was going well on the return leg until Dale ran out of fuel near the Slacks Creek junction, but after transferring tanks, something happened to his electrical system and the engine would not restart. 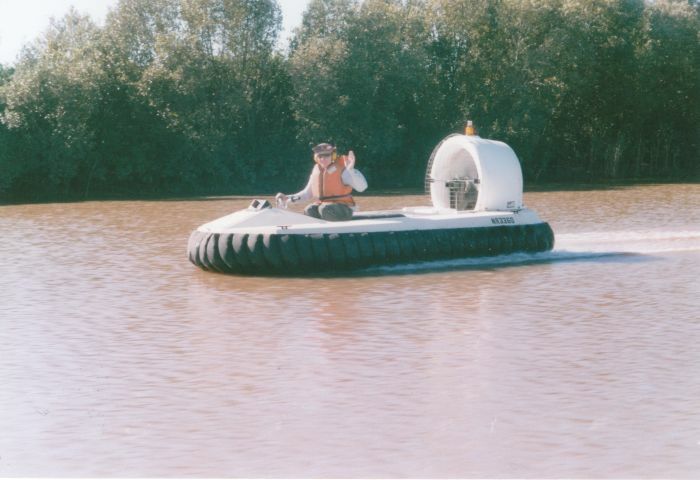 Arthur Stead scouted the reaches and found the Tanah Merah boat ramp close by, so Peter Venn and Des Goss towed the stricken Vortex to the ramp with the aid of an outgoing tide, then with a lot of muscle power, 6 strong blokes carried the craft up the ramp to a safe retrieval point. Macaulie stayed at Tanah Merah while Dale got a lift back to Eagleby in the large Turbo TP6, Arthur Stead in his Revtech Renegade and Steven Odgaard in the Expo Turbo followed close behind. 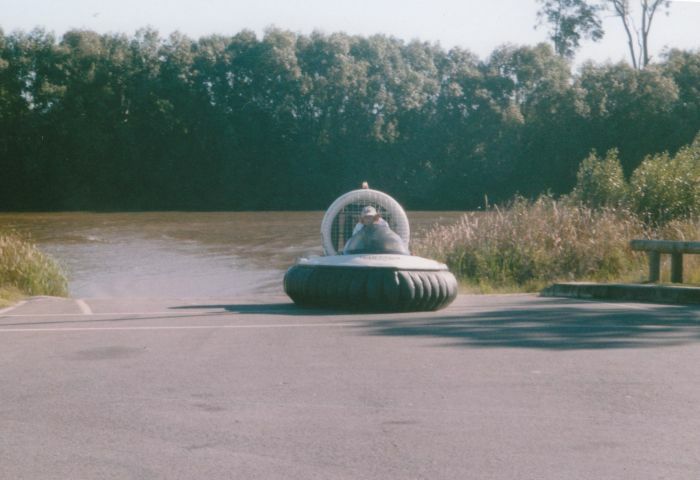 At Eagleby, a boat owner became a little impatient when a couple of hovercraft blocked the boat ramp for a few minutes, and in his state of mind didn't bother to check the condition of the ramp down by the waters edge. He would have needed a 10 metre extension to get his boat trailer through the mud. 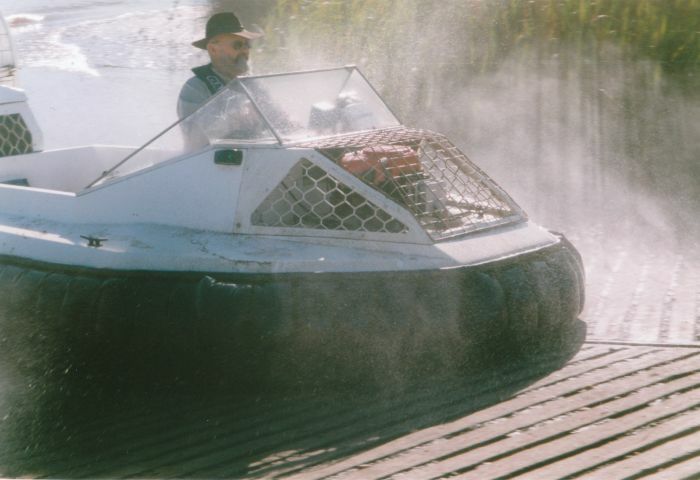 Needless to say, he drove back up the ramp, unpacked the boat and tied it down again, then drove off in search of another less silted ramp. After saying farewell to Des Goss and good luck to Dale Baxter, Peter, Arthur and Steven headed back downstream to the mouth of the Logan River, then north along the Redland Bay Channel to Peters place for a well deserved cup of tea and toasted sandwich back at Elaine's kitchen. Another magical cruise completed after covering around 70 kilometres for the day. The next club cruise will be on Saturday, 25th July 2009 on the Brisbane River at South Brisbane. 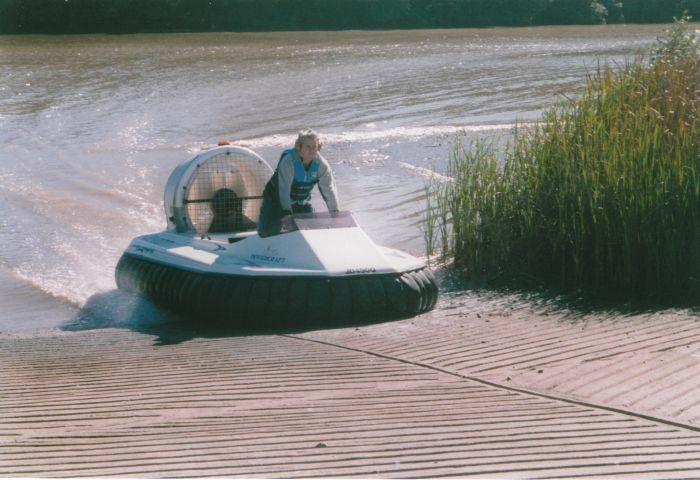 This cruise commemorates the first hovercraft crossing of the English Channel on 25th July 1959. Meet at 9:00 am at the boat ramp in Riverside Drive, South Brisbane. 7:30 pm - Tuesday, 18th August 2009. This meeting will be held in the Archerfield Aerodrome terminal building. We have booked a small conference room near the passenger lounge. The SAAA hall is no longer available for lease and I believe it will soon be demolished to beautify the old aerodrome entrance. Enter via the main entrance off Beatty Road.